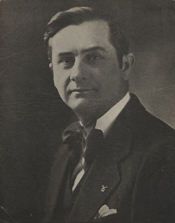 GREEN, Robert Alexis (Lex), a Representative from Florida; born near Lake Butler, Bradford County (now Union County), Fla., February 10, 1892; attended the rural schools; commenced teaching in Liberty Public School at the age of 16; was graduated from the high school at Lake Butler in 1913; messenger in the State house of representatives 1913-1915; assistant chief clerk of the State house of representatives 1915-1917 and chief clerk in 1917 and 1918; University of Florida at Gainesville, B.S., 1916; studied accounting and business administration at Howard University; principal of Suwannee High School in 1916 and 1917; vice president of the Florida Educational Association in 1918; member of the State house of representatives 1918-1920, serving as speaker pro tempore in 1918; studied law at Yale University; was admitted to the bar in 1921 and commenced practice in Starke, Fla; elected judge of Bradford County, Fla., in 1921 and served until 1924, when he resigned, having been elected to Congress; elected as a Democrat to the Sixty-ninth Congress; reelected to the nine succeeding Congresses and served from March 4, 1925, until his resignation on November 25, 1944, to enter the United States Navy; chairman, Committee on Territories (Seventy-third through Seventy-eighth Congresses); was not a candidate for renomination in 1944 to the Seventy-ninth Congress, but was an unsuccessful candidate for the Florida gubernatorial nomination; served as a lieutenant commander in the United States Navy from November 25, 1944, to November 2, 1945; resumed the practice of law at Starke, Fla., and served as county prosecuting attorney and as city attorney for the city of Starke; member, Democratic Executive committee, Bradford County, and State Democratic Executive committee; died February 9, 1973, in Gainesville, Fla.; interment in New River Cemetery in Bradford County near the community of New River. Papers: 1922-1945, 22 linear feet. The Lex Breen Collection contains correspondence, newspaper clippings, press releases and legislative bills. The correspondence is divided into several categories: personal correspondence, campaign correspondence, correspondence regarding the House Rivers and Harbors Committee, veterans’ claims correspondence, endorsements of state and federal positions, and correspondence regarding legislation. A large portion of the collection (Boxes 21-39) is labeled miscellaneous correspondence and is organized chronologically. Of particular interest are items related to plans for the Cross Florida Barge Canal and the closing of Silver River to navigation. Papers covering these topics can be found with the Rivers and Harbors Committee correspondence and in the miscellaneous correspondence. During World War II Green was active in promoting the creation of air bases in Florida, and most of the letters pertaining to this can be found in miscellaneous correspondence after 1941. Other items of interest include bills that he introduced into the House of Representatives while in office. As is evident from these bills, he favored stricter immigration laws and increased pensions for veterans and the elderly. Green promoted development in Florida. Many war-time letters deal with problems that local businesses faced with supply and delivery of products. His constituents showed particular hostility towards the Office of Price Administration (OPA) and various other New Deal regulatory agencies. Additionally, the collection contains a significant amount of correspondence related to the Work Projects Administration (WPA) projects and veterans’ claims. These materials illustrate the operation of the federal government under Roosevelt and the New Deal. A finding aid is available in the repository and online.